Monday Poll: Best Android Text Messaging App? 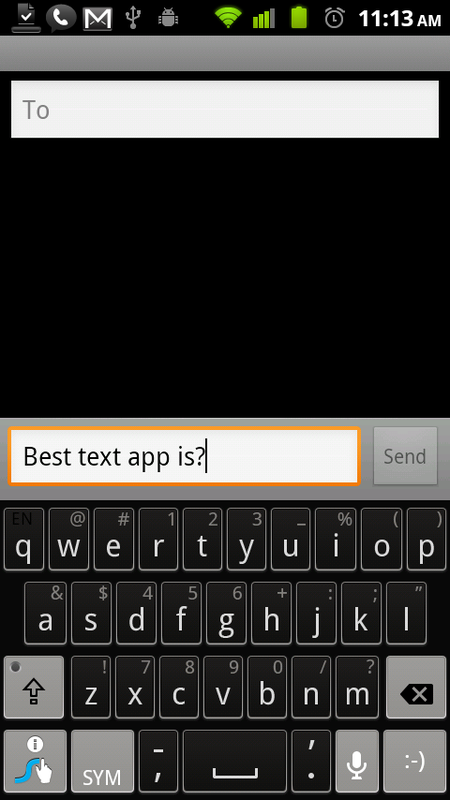 We have a reader inspired poll today, that has to do with the best text messaging app. In the past, people were either using Chomp or Handcent, but we’ve seen some new players recently like GO SMS and HelloTxt, so we’re wondering what people are still viewing as the best? Are you using the stock app or something else? Did we miss one on the list? Let us know! Update: Forgot Google Voice! Added to poll. Best text app on Android is?